4/19/2019: Take on the persona of Zoro and work to uncover the secrets behind a mysterious robotics factory. 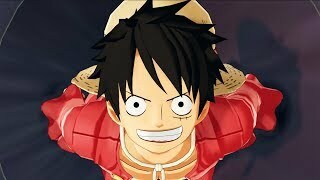 3/12/2019: Join Monkey D. Luffy as he explores Prison Island, which has been devastated by war and has begun to be rebuilt under the watchful eye of the Navy. 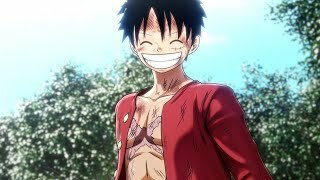 3/5/2019: Luffy and his Straw Hat pirate crew have landed on Prison Island and have fallen into hot water with Isaac, the warden of the island. 2/19/2019: As you meet new characters throughout your adventure, the Karma System will open different side quests related to each one and finishing these quests will award you with new items and experience. 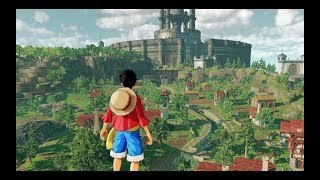 12/24/2018: Join Monkey D. Luffy as he explores Prison Island, which was devastated by war several years go and has begun to be rebuilt under the watchful eye of the Navy. 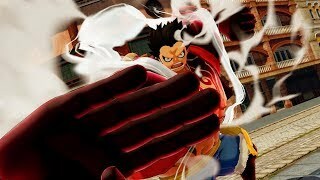 11/16/2018: Luffy shows off his Gum Gum abilities and Skill Tree upgrades. 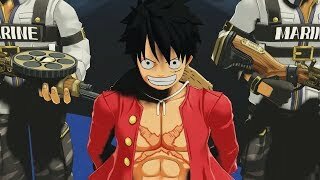 8/22/2018: Are you ready for a new chapter in Luffy's quest to become King of the Pirates? 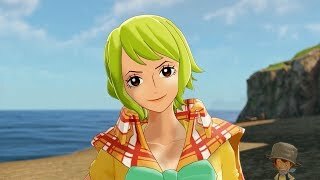 5/29/2018: Explore the mysterious Jail Island to uncover the secrets of this unique island city, where cultures that should clash actually end up existing together under the bond of island life. 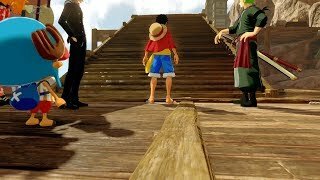 12/18/2017: Luffy and the Straw Hat Crew cast off on another adventure.